Jai Iyeroy: Everything in my past has lead up to this moment, for I am sworn to protect this city. The Many Lives series begins in present day Bombay when a tsunami wipes away much of the city. Post-tsunami Bombay of the future is one of the most prosperous cities in the world. On the other hand, successive economic downturns have stripped most Western of its wealth, pushing many to seek a new life in the East. Refugees from Europe now pour into Bombay, into the camp nicknamed the Jungle. And no one is safe from the growing menace of the merciless human-wolf hybrids and vampires. With this book Laxmi gives me new reasons to love the Many Lives series. Set in the distant future when things get more tough with every passing day the story continues with Jay and Aria. It is a complete package full of myriad emotions ranging from love to hatred. Like every book in this series this is a page turner making you stayed glued till the end of it. Action, adventure, thrill and loads of emotions running all around this one is a book that for me was an exciting read. It had a nail biting finish and what I really enjoyed the most was the way Laxmi did justice to the story and the series both. She took has a bit more deeper into their world and yet left us at an edge where we are left asking for more which invariably means wait for the next books in the series. This is an art for which the author needs to be appreciated undoubtedly. It means a lot to keep a reader engaged throughout the series and ensure that the content just keeps getting better in every new book in the series. Laxmi has mastered that art. Strongly recommended for all fantasy lovers! Laxmi is an author you should not be missing out on. 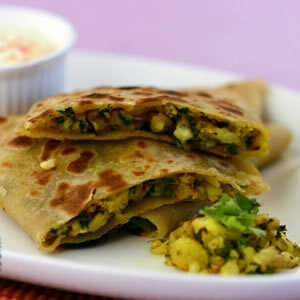 This book is like stuffed vegetable paratha - goodness in every bite.